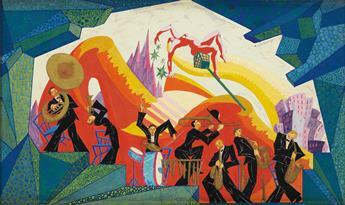 (THEATER / BROADWAY) WILLIAM ODEN WALLER (Studio of.) Manhattan Mary. 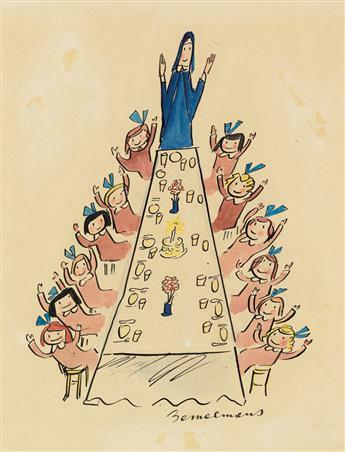 (CHILDRENS BOOKS) LUDWIG BEMELMANS. And here were back - all twelve no less - Happy New Year and Togetherness! 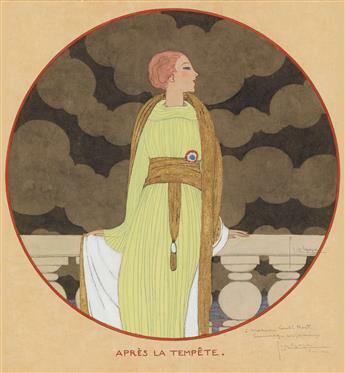 GEORGES LEPAPE. Après la Tempête. 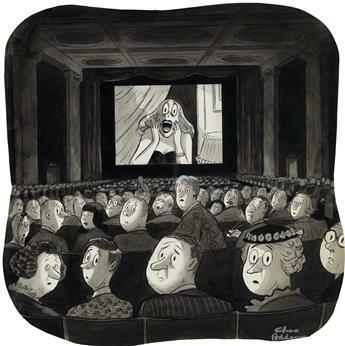 (THE NEW YORKER / CARTOONS) CHARLES ADDAMS. Movie Scream. (CHILDRENS) MAURICE SENDAK. 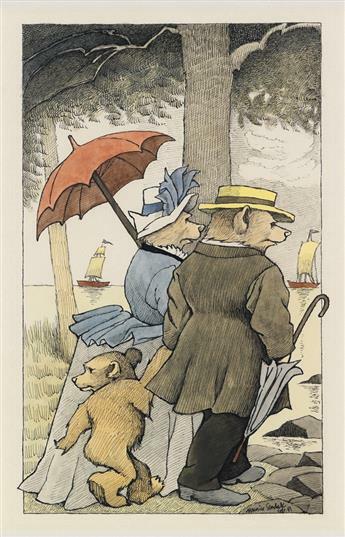 Little Bear and His Parents. (CHILDRENS) JERRY PINKNEY. 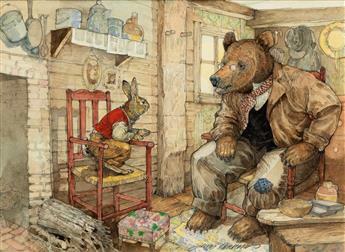 Brer Rabbit went in the house and him and Brer Bear sat down in the den. 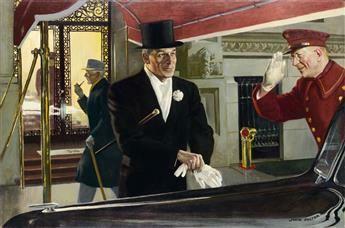 (ADVERTISING / WHISKEY) JOHN PHILIP FALTER. Strictly Off the Record. 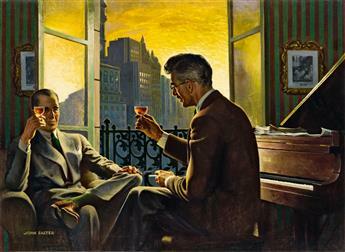 (ADVERTISING / WHISKEY) JOHN PHILIP FALTER. A Brief Conversation with a Man Going Places. 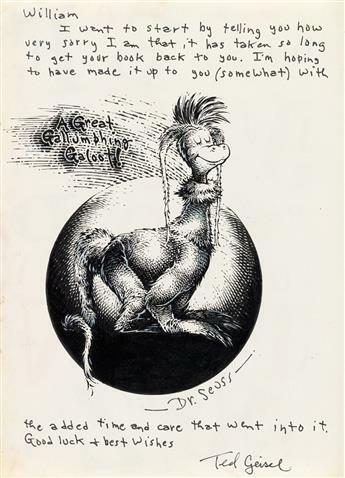 DR. SEUSS [THEODOR GEISEL]. A Great Gallumphing Galoot! 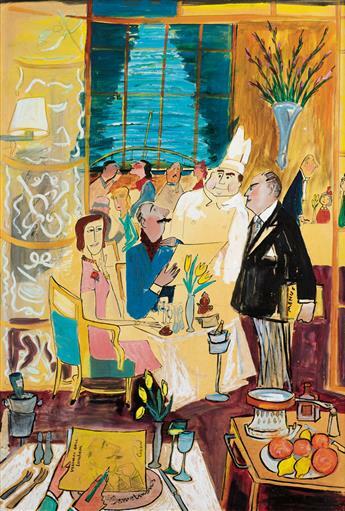 LUDWIG BEMELMANS. Verandah Grill Luncheon on the Queen Mary.